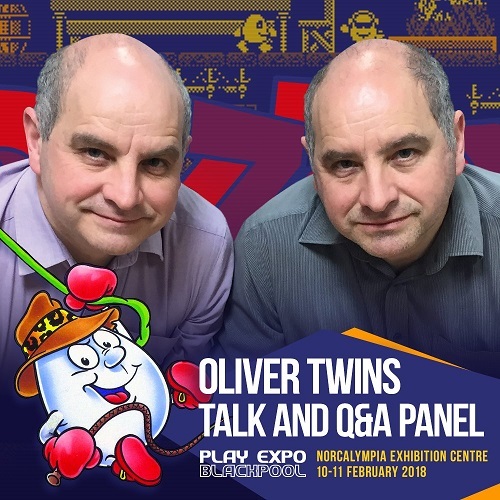 PLAY Expo Blackpool have announced that The Oliver Twins will be attending the event on the 10th & 11th February 2018. The Oliver Twins are back! Yes, industry legends Philip and Andrew Oliver will be joining us for both days at PLAY Expo Blackpool to chat about Dizzy, Spectrum Next and answer your questions in our Q&A Sessions hosted by guys from The Retro Hour Podcast. Philip and Andrew will be giving a talk about Dizzy over the years and will chat about the new Dizzy's released recently on the NES. Then, they will be showing the new Dizzy game 'Wonderful Dizzy' on the Spectrum Next which (fingers crossed) should be finished by then and can be officially launched at the show! The Olivers will also be taking part in a panel talk about the ZX Spectrum Next with other gaming Alumni. More on that to be revealed soon! You can buy tickets for the event on the Expo's website.